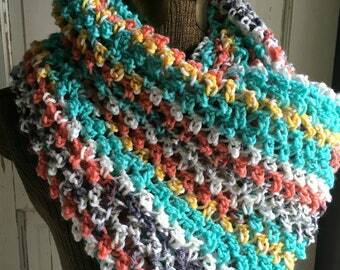 Announcement Crochet and Knit Hats, Shawls, Scarves, Fingerless Gloves, Mittens and More. Original designs by LazyTcrochet. Some items are ready to ship as well as custom and items made-to-order. Contact me if you're looking for something special and be sure to browse sold listings for past designs. Crochet patterns can be found in my Ravelry shop - Patricia Hodson or LazyTcrochet. Crochet and Knit Hats, Shawls, Scarves, Fingerless Gloves, Mittens and More. Original designs by LazyTcrochet. Some items are ready to ship as well as custom and items made-to-order. Contact me if you're looking for something special and be sure to browse sold listings for past designs. Beautiful & soft. The pix looks like the red is brighter but its more like a cranberry (darker) red. I bought it for one friend but gave it to another friend because of the shade of red. Still looking for a brighter red one (like the pix) for my friend. They arrived as expected and I love them they are exactly what I have been looking for wool fingerless gloves that go high over the finger and thumb joints to keep them warm in cold weather. Thank you again they are perfect. My button wrap was featured in Midwest Living Magazine's Gift Guide! Hi - I'm Tricia. I am a self-taught fiber artist, mom and caregiver. My designs are mostly fashions and accessories for women and teens. 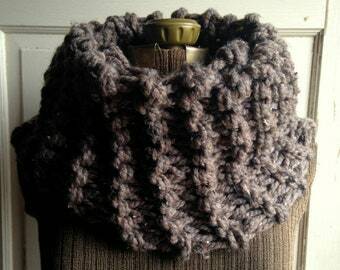 I enjoy creating modern and original designs as well as traditional, old-world styles in knit and crochet. I design most of my own items and would love the opportunity to make a custom item for you. I love to crochet, knit, and sew, often combining techniques. Feel free to contact me if you have a design in mind. I especially love big, thick, chunky yarns! I haven't the patience for fine-knitting and have never knitted socks. A lazy day for me is crocheting all day and shrugging off any other daily responsibilities. Always changing. Never resting. Lazy is good, but it's just a nickname. Thank you for visiting my boutique! I'm Tricia from LazyTcrochet. After teaching myself to knit and crochet, I realized the importance of creating my own designs. I opened my Etsy shop in 2007. I'm a caregiver for my Mom, Judy and she loves to knit and crochet also. CUSTOMER SERVICE is very important to me and I try to communicate with my buyers to make your transaction worry-free. All items are made in a smoke-free home, although I do have pets. I maintain a clean house and do my best to keep them out of my craft room. All sales are final, but if you are not happy with your purchase I'll be happy to discuss it with you. You must contact me within 14 days of receipt of your order to discuss a return. I want to make sure you are happy with your order. I accept credit card or debit card payments through Direct Checkout on Etsy or through Paypal. All Taxes, Tariffs, Customs Charges, etc. are the responsibility of the Buyer/Purchaser. I ship USPS First Class or Priority Mail with delivery confirmation for domestic orders, depending on the item size and weight. If I have overestimated the shipping costs, I will refund the difference. International orders are welcome and will ship USPS First Class. Priority or express shipping and insurance are available for an extra fee. Shipping times are approximate for made-to-order items. Some may ship sooner than expected. Please contact me if you need a rush order or if you have any questions.